Tan sesame seed, hulled, organic, dry roasted, and ground to a deliciously smooth more nourishing 'nut butter'. Superb amino acid profile and healthy fats in a creamy rich paste. Tahini is the butter of the Middle East, a Mediterranean staple, and essential ingredient in making the dips hummus (chickpea) and baba ghanoush (grilled eggplant). It is versatile in sauces, salad dressings, dips, desserts, pastries, smoothies, and casseroles. Tahini sauces are used on falafel (fried chickpea patties), meat, fish, vegetables, and noodles. Tahini is tasty as a dip or spread and a great addition to any smoothie, on pita bread, toast, crackers, muffins, and rice cakes. Make a Miso Tahini Spread or a Tahini w/ lemon and garlic dip/spread/sauce. 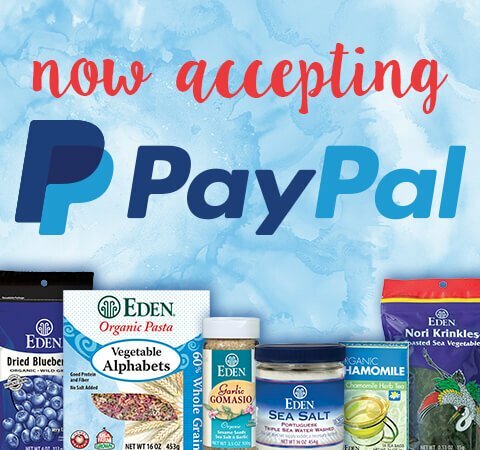 Glass jar, gluten free, Non-GMO, and pareve. The butter of the Middle East, tahini is a worthy staple in Mediterranean cuisine and in regions from the Balkans to the Middle East and North Africa. It is believed to have originated in Persia, present day Iraq, Iran, and Syria. Also known as tahina, tahinah, and tahiniyya, translated from the Arabic word meaning "to grind." 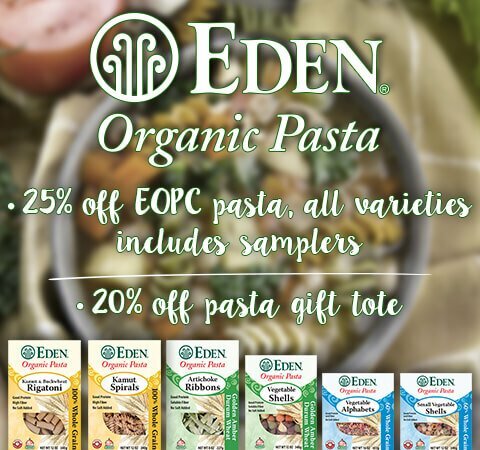 Eden Tahini is organically grown tan sesame seed, hulled, lightly roasted, and ground to a smooth paste. It has a rich, mildly nutty flavor and creamy texture. It is sodium free, a good source thiamin B1, magnesium, iron, niacin B3, and zinc with a superb amino acid profile and healthy fats. Glass jar, Gluten Free, Non-GMO, and k pareve. Sesame Sesamum indicum is the longest cultivated oilseed plant. It has ancient history in Africa where it's called 'benniseed' and 'sim-sim'; with a similar history in India. It is grown throughout the world in warm climates. Sesame are called 'seeds of longevity'. Egyptian, Greek, Roman, and Turkish soldiers carried them as rations. The expression 'open sesame' indicates entrance into splendor and abundance. Tahini is essential for hummus (ground chickpeas, tahini, garlic, lemon, and salt) and baba ghanoush (grilled eggplant, tahini, lemon, herbs, and salt). Tahini sauces are used on falafel, meat, and vegetables in the Middle East and over noodles and vegetables in Asia. 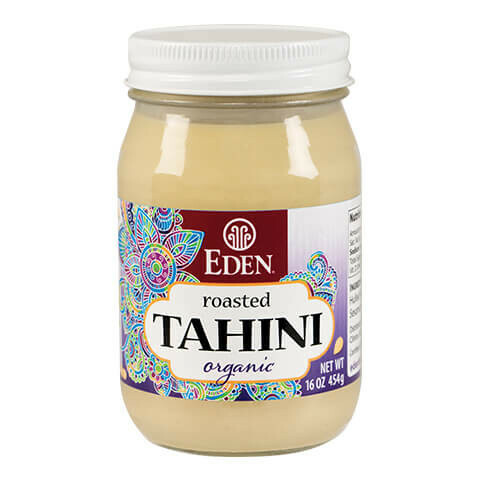 Eden Tahini will richen any sauce, salad dressings, dip, sweet desserts, pastries, smoothies, and casseroles. It is a tasty spread for all breads, toast, crackers, muffins, or rice cakes. 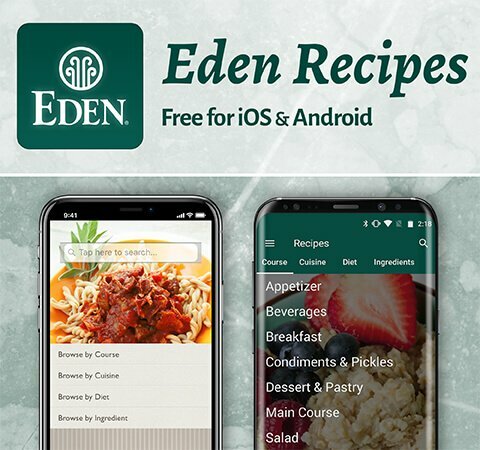 Visit edenfoods.com for many delicious, free recipes containing Eden Tahini such as Falafel, Miso Tahini Spread, Umeboshi Tahini Dressing, Miso Tahini Orange Dressing, Miso Leek Spread, Miso Tahini Stuffed Dates, Hummus, Black Bean Hummus, Buckwheat Pasta with Tahini Scallion Sauce, and more. Use it as a substitute for peanuts in sauces served over pasta.